This plugin will help you to get profit of using CDN service. You can use plugin with any CDN services, ex. 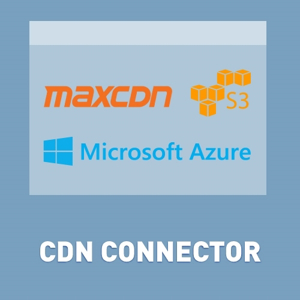 MaxCDN, KeyCDN, CloudFront, CloudFlare, etc. Plugin changes ALL URLs (dynamic and static) on the HTML page. You can set static picture URL in the description of the product and plugin will use CDN for it too. Plugin has very GOOD performance and support with any nopcommerce plugins. 2. Plugin has very GOOD performance and support with any nopcommerce plugins. We added support most popular CDN services from the box - MaxCDN, KeyCDN, CloudFront, CloudFlare (for function 'purge cache'). Not registered version is fully operational. It has only one limitation (30 days trial period). Try before buying. + added support CDN for different store URLs on one page. ex. + added support CDN for JSON answer "/shoppingcart/productdetails_attributechange"